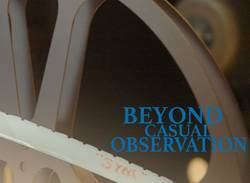 In the previous installment of Beyond Casual Observation, we visited with three films to briefly illustrate the pleasant entanglement of music and storytelling in cinema. By looking at three different films from different eras, we attempted to express the resonant value of sound in film. I have always been fascinated and invigorated by the idea of film scores and ambience provided by someone otherwise known as instrumentalist or person in a band. Johnny Greenwood’s score for There Will Be Blood, Neil Young’s performance for Dead Man, Thom Yorke’s work for Suspiria (whose original score was written by a band, Goblin), are notable examples of musicians from bands taking their talent to the screen. In Goblin’s case, they often perform live to a visual accompaniment. To hear a composer talk about emotion, the pulse of a scene, two notes, and why an incomplete sounding progression accompanies an incomplete character, I hear an analysis fundamentally similar to one you might hear in a band's writing session. Audiences are on the receiving end of every musician who makes his or her work public. Whether how a single person is affected by a song on an album they are listening to at home, to how a screen audience experiences a scene, the communication between musicians and audiences is essential. For each voice expressed there is hopefully a voice heard. That dynamic relationship with audiences made me want to seek out someone who has a story to share about being a musician and forging their part in the art of visual storytelling. John Morgan Askew: producer, musician, engineer, and mixer. Of music in bands, of sound and music in film, John Morgan Askew is a worker in the aural spectrum. Recent work includes The Imperial, the new album from The Delines, Laura Gibson's latest release, Goners, as well as Do Not Pass Go from Hyrax Films, and a 2015 documentary about internet privacy Terms and Conditions May Apply. In 2018 it is easy to think that we are all behind. Social media insists that my peers are doing more than I am and that being busy is the key to life. Everything I see is a quick ad, every scene consists of numerous quick cuts and Michael Mann films are still the best at extending time, without slowing it down, to show us the nuts and bolts of processes. Every finished product had processes. Every peak has a base. John Morgan Askew has spent years building his skill set: a wide base in music ranging from writing, to recording, and placing sound to image. 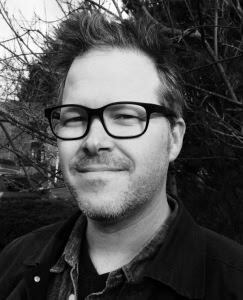 John Morgan Askew’s work as an engineer starts in 1996 as an engineer in Portland, Oregon at Type Foundry Recording. While growing his skills as an engineer, John continues to write and his musical sensibility flourishes. He describes the move into writing sound for film rather organically. He adds insight into his own inner workings. "Regardless if there is an actual picture to look at, music can be so visual for me. It creates the sonic space, or the geography, to exist in." Among his influences are Juana Molina, Laurie Speigel (John notes the effort on Expanding Universe), Mica Levi, Reinhold Heil, Ben Frost, and Tim Hecker. While John’s work is informed and influenced by the work of others, the range of things that influence him extend outside of studio walls. John’s ability to draw an image from music relates to a sentiment he shares about his own ear for music. “As for composing for film, I have always loved instrumental music and always related more to the sounds of an album than the lyrics,” he says. He dives deeper into explaining the association of music and imagery. By acknowledging that music can create emotion, John’s work is more than writing music. Film scores should harmonize with the other sounds, and compliment the action on screen. While we remember the big moments in the score, we also remember the important moments between characters. The scale in a section of a score may relate to the on-screen strife. John's ability to be visually inspired by music, and to be inspired by visual story-telling to write music was an interesting component of this conversation, and his passion for the art is obvious. John started early in life with a single musical endeavor that grew into multiple expressions and uses of music and sound. He provides insight by relating his own perspective as a listener. Engineering and mixing are skills that John was able to gain by being around music production. And like any good tool, he uses production to create. John does not get too caught up in describing gear or become overly mystified. Rather, like every great audio professional, he keeps everything focused to the creation of music. John has recently produced and mixed the new record from Laura Gibson, Goners, and from The Delines, their new record, The Imperial. As of December 2018 John is finishing up the score to a new film, Phoenix, OR. You can find even more of John’s work on his official website. Thank you to John for taking the time to share his insights with our readers! Posted on Jan. 27, 2019, 4 p.m.
Posted by BJ Rochinich on Jan. 27, 2019, 4 p.m.
Posted June 25, 2014, 1:37 a.m.
Posted Feb. 17, 2014, 1:53 p.m.